If you frequently take road trips, you know just how important it is to be prepared. 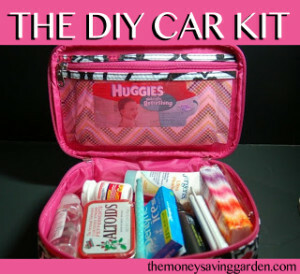 A car kit can help one prepare for short-term and long-term travel. The ultimate car kit is designed to address the needs of a driver and his or her passengers while traveling. If you have yet to include one in your vehicle, you’ll want to start acquiring the car kit tools and supplies needed to road trip safely and conveniently. These items will make up your car kit. A plastic container with a hinged or removable lid to house all your supplies. Toilet paper, napkins, and tissues in your car kit for emergencies. Baby wipes in your car kit to make clean-up easy. A flashlight so you’re able to see your car kit contents in the dark. A small first aid car kit complete with bandages, antiseptic wipes, and ointment. A pocket-sized Road Atlas in case your navigational system fails. Snacks in your car kit so you don’t have to stop as often. Bottled water in your car kit to keep you from getting dehydrated along the way. Flares so people can see your disabled vehicle. A reflective vest so you won’t get hit changing a tire. Hand warmers for cold winter weather which can be kept in your car kit all year long. An extra pair of socks and gloves in case yours get wet. Toys for your kids to play with while you drive in their own car kit. A little preparation can go a long way in ensuring your safety and comfort while taking a road trip. Start purchasing and assembling your ultimate car kit today. Watch for sales and stock up on the items you know you’ll use the most. A well thought-out car kit can come in handy in the event of an emergency. At Sallas Auto Care, we want your car to have a kit that helps you be prepared for anything, and we’ll take care of the rest. Call us today for an oil change, wheel alignment and more for your road trips!